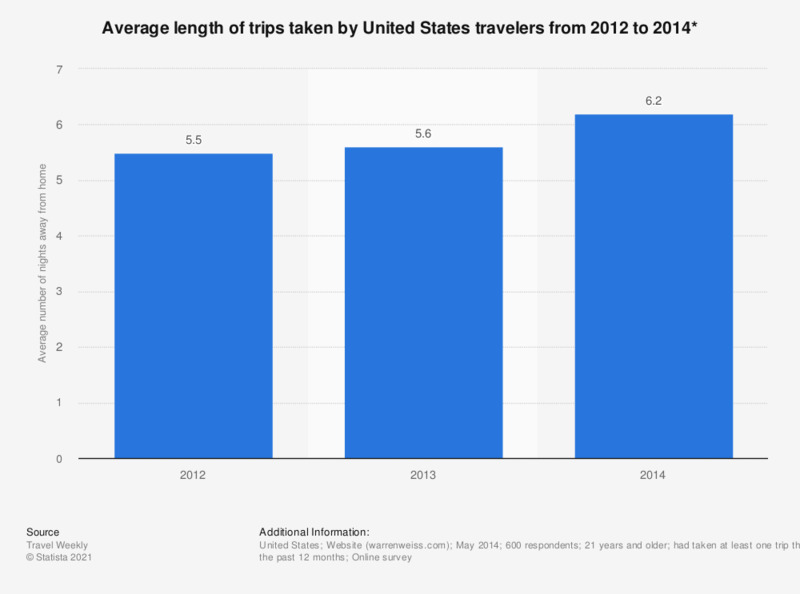 This statistic shows the average length of trips taken by United States travelers from 2012 to 2014. In the 12 months leading to May 2014, the average length of trips taken by U.S. travelers was 6.2 nights away from home. * In the 12 months leading up to the survey date of each year.